When we moved on our property the garden area was full of clay soil and we couldn’t find any earthworms. Each year I find less and less clay as I’m gardening and more and more earthworms. Each year we spend time and a bit of money building healthy garden soil that is loose, yet holds some water (unlike sandy soil). Here’s the thing though, good soil doesn’t just happen. And it doesn’t happen overnight. 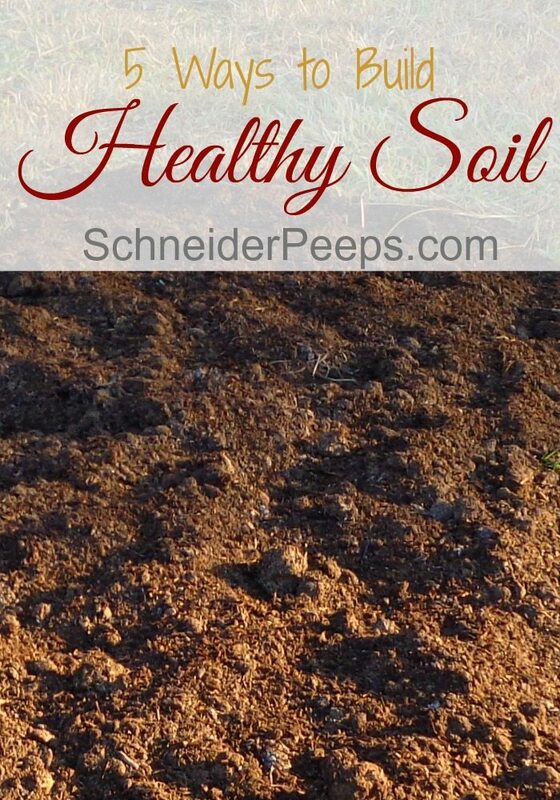 Healthy garden soil is something that takes time and effort. Even if you truck in topsoil and use raised beds, you still have to think about keeping your garden soil healthy as overtime your plants will deplete the soil of it’s nutrients. Building healthy garden soil isn’t complicated, although some people have made is sound super complicated, you just need to be intentional. 1. Accept that what you have right now is fine to start with. Even if you have clay soil or sandy soil, something will probably grow. Know that it will take a few seasons to get your soil how you want it and just be okay with that. That will eliminate a lot of gardening frustration. Many times our frustrations are simply because we had unrealistic expectations. So, expect that the harvest from your first couple of seasons might not be super great, but if you wait until you have the perfect garden soil, you’ll never start gardening. 2. Bring in some compost. No matter what kind of soil problems you have, good compost can probably fix it. You can buy compost by the bag at your local nursery. We’ve gotten ours from a local mushroom farm in the past. 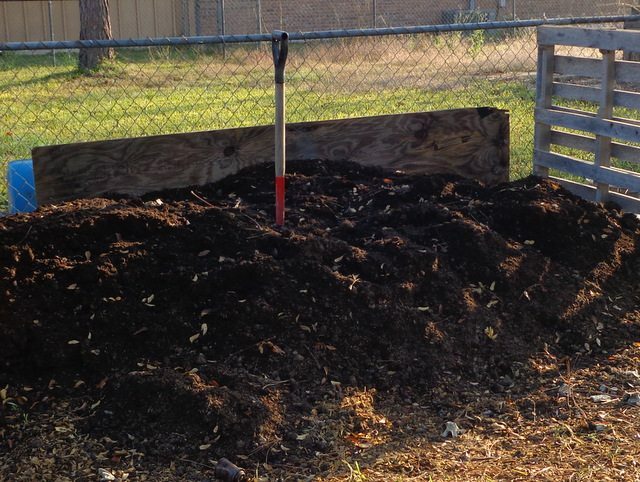 You can also build a compost area (we just used pallets) and start collecting leaves from the neighborhood and used coffee grounds from Starbucks. If you have chickens or other livestock you can use their bedding in your compost. You can also put in any kitchen scraps except meat or fat. Then next year, you’ll have your own compost to use. 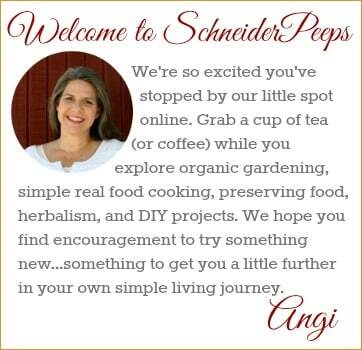 The only I would change is that I do put citrus peels in my compost. I use what I can to dehydrate, make extract or cleanser but the extra we put in the compost. I’ve found that they decompose just fine when I add a couple of bags of used coffee grounds on top of them. If you’re not sure what you can put in your compost, be sure to print up the graphic below. 3. Rotate your crops. Rotating crops is not only good for the plants, it’s also good for the soil. 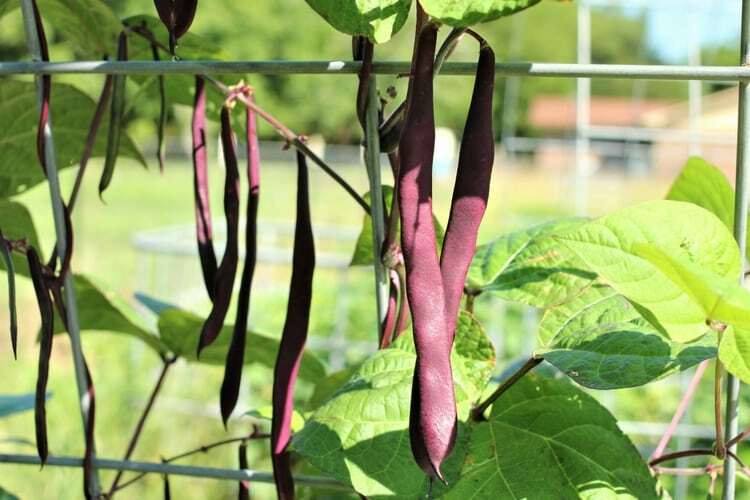 Some plants like beans add nitrogen to the soil and other crops like corn use lots of nitrogen from the soil. 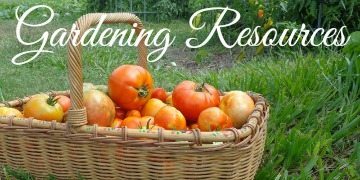 Here’s a great post from Better Hens and Gardens about crop rotation – there’s even a printable graphic. 4. Use cover crops or green manure. The idea here is that you don’t let your soil just do nothing, you give it a job. So when it’s not growing your normal garden produce, you plant something like rye grass to add nutrients to it. This is something I need to get better at. We garden year round but there are still some beds that don’t get used in the fall/winter and could use a cover crop. We’ve been experimenting with using buckwheat as a covercrop. So far I’m really impressed. 5. Get worms. Worms are amazing for your soil. They tunnel and eat and poop. And that’s all good for the garden. You can buy worms at your local nursery. I love this idea of building worm tunnels right in the garden. 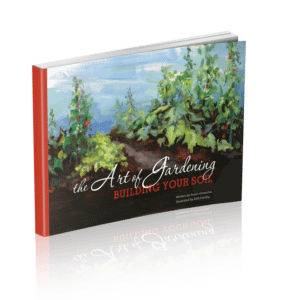 The Art of Gardening is one of the most beautiful ebooks I’ve ever seen and it has some really great information on gardening and building your gardening soil. 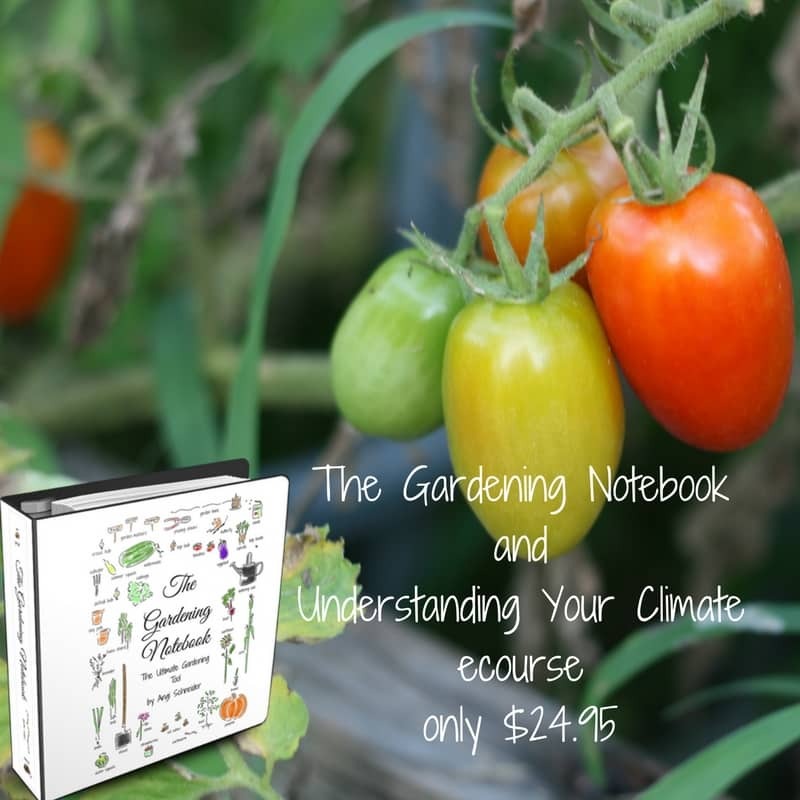 Soil is truly the foundation of your garden, if you want to grow food without having to spend a lot of time or money on fertilizers and pest controllers then build healthy garden soil. 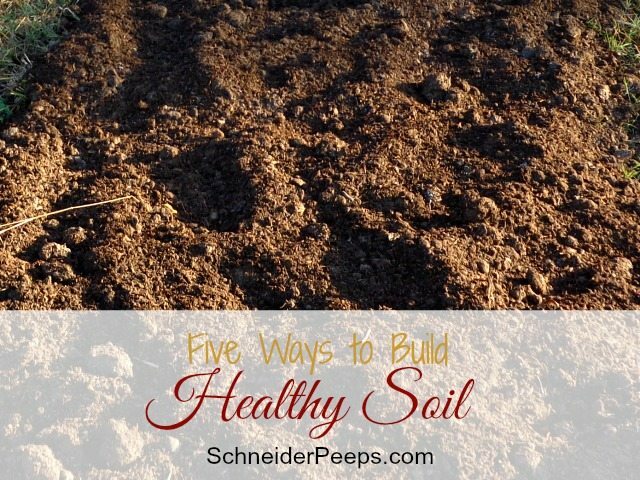 What are your tips for building healthy soil? Thanks for having this giveaway–I have been wanting to start a worm bin. We just bought buckwheat to do green manure this year! We are pretty excited about it. Also, I was taking an online permaculture class and one of the lecturers said to never turn soil. Never till the soil, leave it the way it is, add to the top and plant in. We will also be doing that this year! Now if only these 5 ft of snow could melt!!!! How fun! We’ve never done green manure but its something I really want to do this year. I’m not really in the never till or always till camp. I’m somewhere in between. If you aren’t going to to till or turn your soil, how are you going to get the buckwheat into the soil before you plant again? I always thought you needed to turn it or til it into your soil? I’m intersted in knowing how it turns out for you. I didn’t realize you’d grow it with the veggies. I’ll keep you guys posted for sure. Yep, it acts as a ground cover : Snuffs out the weeds and brings nutrients in. 🙂 We are also transforming one of our bed into a hugelkulture bed… You should Google the term, it,s really interesting! Good choice, buckwheat is a great cover crop or green manure for the summer season. It’s very easy to grow and honeybees love the small white flowers. Buckwheat is a “soft” plant with hollow stems and fine-textured roots, so it decomposes quickly when turned into the soil. 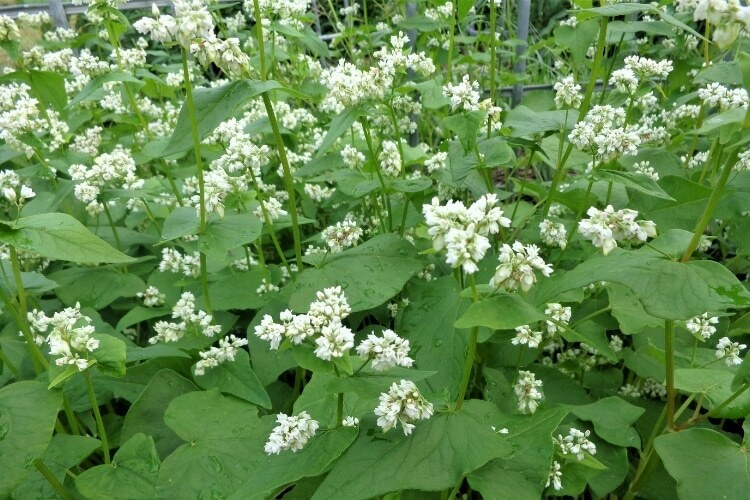 For planting other crops after the green manure, buckwheat can be a lot easier to deal with than some of the more aggressive or “heavy” cover crops. For Yanic’s no-till permie approach – I like no-till too – you can pull the plants and compost them, or pull or chop the plants down and leave them as a surface mulch to decompose. Thanks for weighing in Lon. I was very intrigued by Yanic’s comments that I’m experimenting with buckwheat this year. I’m excited about the possibilities and I know our bees will love it which is an added bonus. Just keep working on it, it’ll come. Now’s the time to start collecting leaves off the neighbor’s curbs and coffee grounds from Starbucks. You can make a lot of compost with just those two things. Thanks for this post. It is really a great resource.